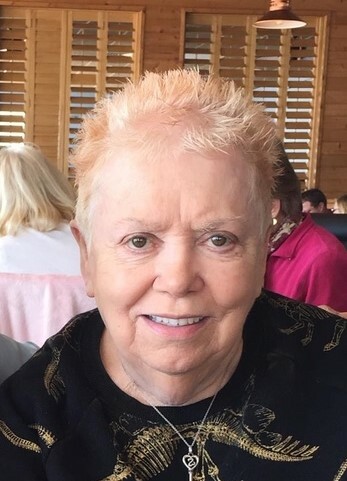 Barbara M. Allen, 78, of Myrtle Beach, SC passed away on Tuesday, April 09, 2019 at Tidelands Waccamaw Community Hospital in Murrells Inlet. She was born June 09, 1940 in Knoxville, TN, daughter of the late Charles Edward Miller, Jr. and Martha Ann Foust Miller. In addition to her parents she is preceded in death by her husband, Howard David Allen, Sr.; a brother, Charles Edward Miller, III; one sister, Margaret Seagraves; and brother-in-law, Donnie Mantooth. Survivors include her two sons, Howard David Allen, Jr. and his wife Barbie of Knoxville, TN and Charles Patrick Allen and his wife Charlene of Myrtle Beach, SC; three daughters, Karen A. Adams and her husband Larry, Connie Gentry and husband Tony and Charlotte Allen, all of Knoxville, TN; two sisters, Betty Mantooth of Knoxville, TN and Kathy Olsen and her husband Gary of Knoxville, TN; ten grandchildren, Barbara, Charlene, Christy, Nick, Alicia, Valerie, Amanda, Sam, Bryson and Carson; and thirteen great grandchildren. Barbara worked for both the Sundown Sports Bar in Surfside Beach and the Sunup Grill in Socastee. She also worked for the Charleston Café. She had many friends and patrons that she served over the years. There are no formal services planned. The family requests that memorial contributions in Barbara’s name be made to the National Breast Cancer Foundation, P.O Box 678572, Dallas, TX 75267-8572.